Okay, what the hell just happened here? 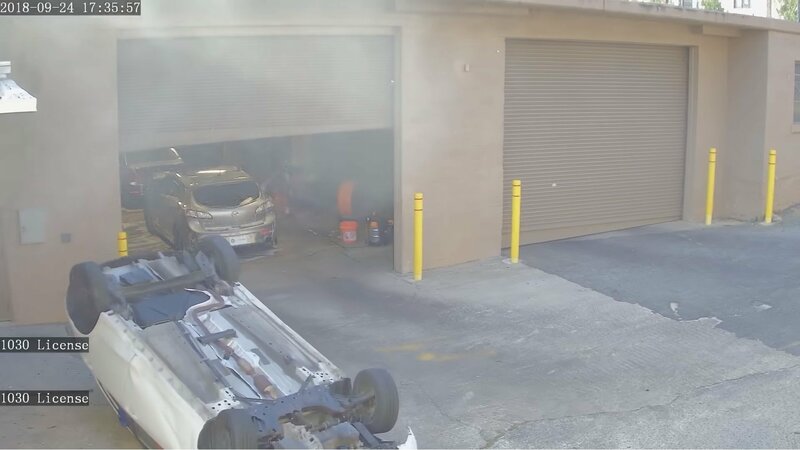 A Mazda2 Supermini came speeding into a parking lot, smashed through a gate, landed on the roof of an office, and rolled backwards before falling to the ground. What is up with people these days?